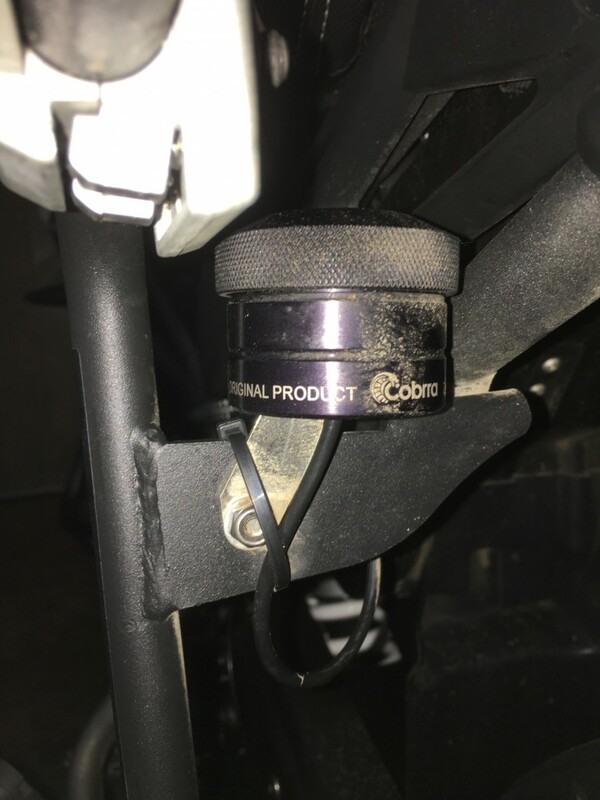 Having done over 2,000 miles since fitting this system on the bike, I thought some feedback might be in order. Because the oiler operates under pressure, and is controlled by the rider, it suits me just fine. I like the 'on demand' approach and follow the manufacture's advice of lubing the chain when I fill up with fuel. Even I can remember that . Turning the top bezel of the reservoir by 90 degrees releases 3 minutes of dripping oil onto the chain just in front of the rear sprocket. In wet conditions you can increase the flow by turning the bezel 180 degrees. 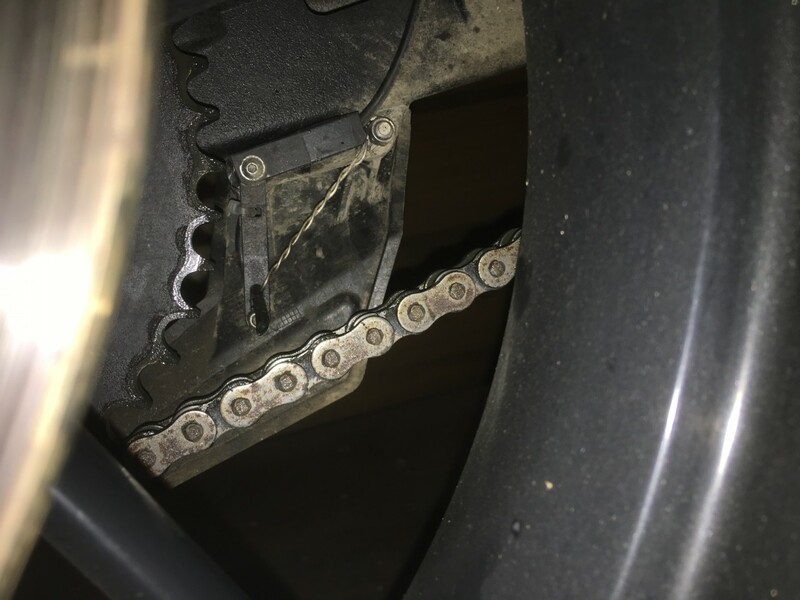 The chain is oiled and there's no fling onto the rear wheel. Because the system is pressurised, the maker states that any oil can be used, although they recommend 80/90 gear oil. So far , I've used Tutoro oil and that's been fine There's a visual marker on the handlebar unit so that you can see when refilling will be needed and although the makers state that one fill-up is good for 3,000 miles, it's probably closer to 2,500 for me, with mixed riding and some very mixed weather. Previously, I've used both Scotslick and Tutoro Automatic oiler; I appreciate we all have different preferences but now I've found Nemo, I'll stick with it. Works well for me also but I have the reservoir mounted on the left pannier frame where there is a convenient hole at the front. Bikes previous: NSU Quickly moped; Honda C50; Honda 305 scrambler; Yamaha RD350 (x2); Suzuki GT380; Honda NX250; Harley Sportster 1200; Yamaha TDM900; Yamaha 1300 cruiser; Honda CB600F5 Hornet; FJR1300 (x2); Triumph Explorer. Bikes now: Triumph Tiger 800XRT - one bike less than optimum! 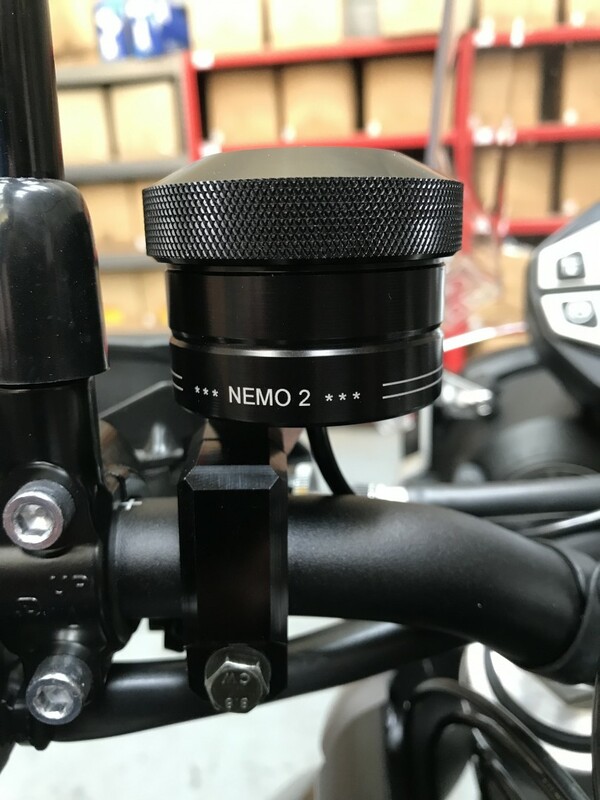 I concur with you both, I have had my NEMO 2 Cobbra Oiler fitted now for around 5 months and to be honest I cant fault it. Its is discreet and doesn't look out of place. 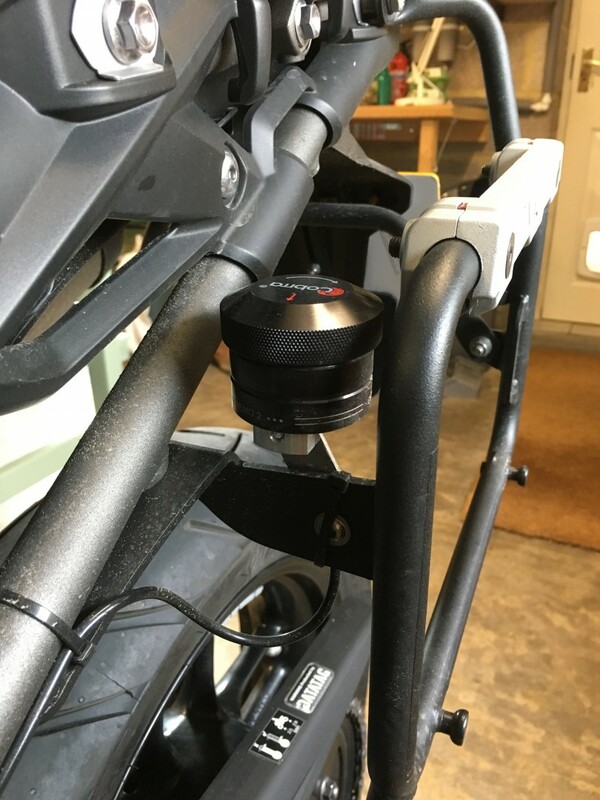 The installation instructions have the reservoir mounted onto the handle bars but I thought it would look too cluttered so I opted to mount mine elsewhere. I made a bracket out of a piece of stainless steel and mounted the bracket using the pinch bolts on the yolk at the top of the forks. The benefit of having it here is that I can operate it whilst perched on the bike. Specially handy if riding in sustained rain or you have gone through some water, whether a puddle or wading. Also great if you have been riding through dusty conditions, quarter turn and viola, chain oiled. Like you say Slowmo, a quick quarter turn every time you fill up and your done. Took me around an hour to install from start to finish. I use gear oil (80W/90 Extreme Pressure) as recommended by Cobbra. Got lots of European miles to do this year, peace of mind. I have one too, I like the simplicity and the look of it. I bought the extra accessory bracket and mounted it by my left hand mirror, which helps to remind me to use it!! And this is my installation. Shorter run for tubing and out of the way of anything on the bars. 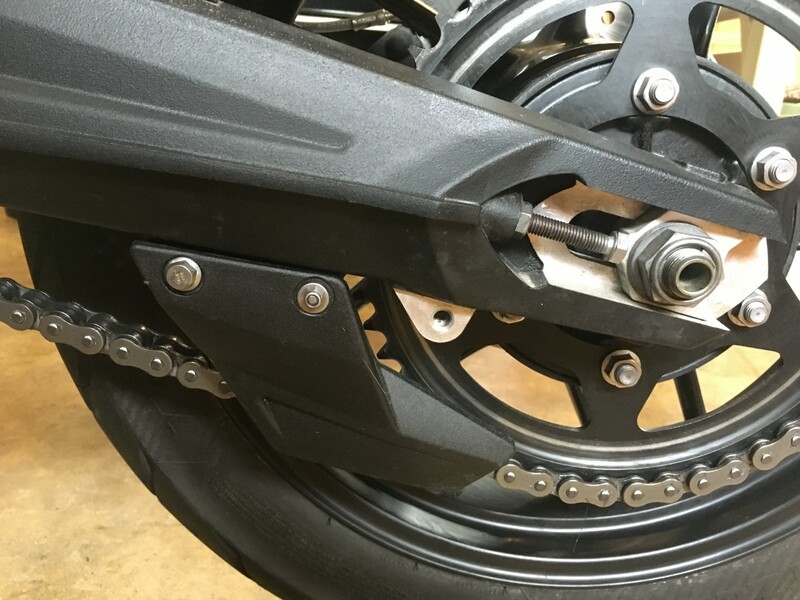 The oil dropper sits above and just in front of the rear sprocket so it isn't affected by chain bounce. @bulldogfour, how have you mounted the reservoir to the luggage arm? Can you send some more detailed description/pic. The pannier frame already has a convenient hole in it so it is just a case of bolting it on. The cable tie is just steady the pipe. My Tutoro has a weight that wobbles when the bike is moving and shoogles oil continuously out onto the chain (to use the technical terms). The Cobra uses pressure that you apply after each fill up to drop a dollopsworth of oil over a few minutes until the pressure is equalized. I'm happy with my Tutoro so won't change it, but if that's correct then I prefer the method of the Cobra. It also looks better and where I hide the Tutoro you could make the Cobra look like it's a thing. To oil the chain you screw the cap a 1/4 turn and it increases the air pressure on the oil inside so that it is forced down the tube. A complete fill of the reservoir they say can last for up to 5,000km. Not tested that claim yet but would probably cover a decent European tour.